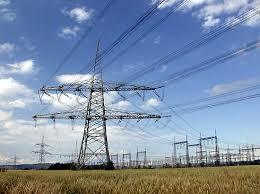 Medicine and Technology: Is it Dangerous to Live Next to Power Lines? Is it Dangerous to Live Next to Power Lines? I've been asked this question by tons of people. My honest answer is that "I don't really know." We know that some people have a difficult time selling their home because they have a power line in their backyard (well, maybe not literally in their backyard). Do you live next to a power line? These types of environmental and public health questions are very difficult to answer. You're certainly not going to conduct a randomized control trial (RCT) to determine whether living next to power lines poses any health hazards. The best you'll do is to collect some retrospective data from samples of patients who develop certain health ailments. Or, you may follow a cohort longitudinally, but that may take a very long time. Here's something interesting: Researchers (Wartenberg et al.) recently found that people living within 2000 ft from high-voltage electric power transmission lines (HVTL) were more likely to be white, of higher income, more educated, home owners, and exposed to magnetic fields. This was published in the Journal of Exposure Science and Environmental Epidemiology. Interesting? So, who's most likely to live by power lines? According to this study (which was conducted in New York), the answer seems to suggest: upper-class Caucasian radiologists homeowners who are always using their cell phones (don't get me started on the cell phone radiation issue). A Swiss study (Huss et al.) found that people who lived near electrical power lines had higher odds of developing Alzheimer's disease and senile dementia. These types of epidemiological studies may not prove causation, but they do suggest an association. This was published recently in the American Journal of Epidemiology.